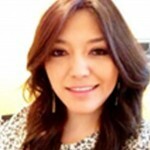 Karla Georgina Tapia Reyes has worked for the Mexican Government’s Ministry of Economy for the past seven years. She began her career with ProSoft as the head of the Counseling And Monitoring Department in 2006 and served as the coordinator of assessment reports in the same division from 2008 to 2009. Most recently she was the deputy director of the Mexican Internet Association and is currently the Deputy Director of Business Intelligence for Infotec. She was graduated from Monterrey Institute of Technology and Higher Education with a Bachelor of Science degree in Economics in 2001. She added a Master of Business Administration to her resume in 2011 from the same institution and she has taken multiple courses in various disciplines including Digital Marketing, Leadership and Marketing during the course of her career.